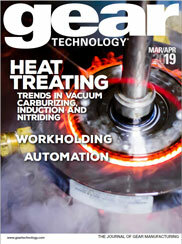 The 2013 installment of DMG's popular Innovation Days event promises more exhibits, seminars and machines. Everything an attendee needs to improve their manufacturing process. In addition to the regular seminar program, attendees will enjoy concurrent specialty sessions in the dedicated University training facility. Plus, DMG has added an extra day to the show to help you fit it all in. The event features 40-plus machines under power, including five U.S. premieres (the DMC 85 monoBLOCK, the Vertical Mate 125, the NVX7000/50, the NLX1500SY/500 and the NLX2000SY/700).Industry-specific machining hubs will be available for information on heavy equipment manufacturing, automotive, aerospace and gear production. Automotive will be the focus on May 7th, aerospace on May 8th and Gears on May 9th. The event will take place from 9:00 to 5:00.